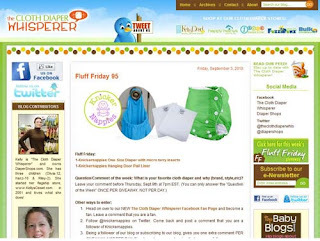 Knickernappies Sighting: Fluff Friday @The Cloth Diaper Whisperer! You could win big! How exciting to see a Fluff Friday of ALL Knickernappies goodies! 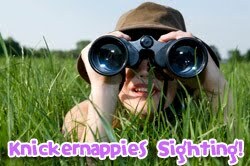 The Cloth Diaper Whisperer Blog is giving away a Knickernappies OS Diaper w/ Micro Inserts as well as a Doorknob Diaper Pail! This is one prize you won't want to miss out on. Never participated in a Fluff Friday Giveaway? Check out the post for all the giveaway details, methods of entry and giveaway rules. Giveaway ends September 9, 7pm. Good Luck!